I wondered about the title, 10 Rules for Writing by Famous Authors, whether it should be ‘writers’ or ‘authors’. When in doubt I always ask the ever-present, ever-enthusiastic Google. I did and in a few seconds it got back to me with “A writer is a person who writes a book, article, or any literary piece, while an author is essentially the person who originates the idea, plot, or content of the work being written.” I quickly went back to the title and changed the word ‘writers’ to ‘authors’. As this list of rules is by people who have come up with brilliant ideas and plots and then etched it out into some awesome books. Find links to all my favourite rule-lists’ below along with rules I felt I could use the most, or just had me nodding my head in agreement. If you like another set of rules, then pass them on by leaving a link in the comment. This doesn’t mean that there are rules one has to follow to write well. But as I trudge along on this long and lonely path to good writing, I find it decluttering, calming and even distancing from the current trauma of the self-created rubbish staring at me from my screen, to read some ‘rules’! Rules makes me feel like it’s possible, and if I were to follow this ‘list’ I would have a story, a book, something well-done. Yeah, I see you shaking your head too… if only it were that easy. Anyway, let’s read some of these famous lines, and like anything else in life, these do not need to be only for writers or for the profession of writing. I think we could apply these words of wisdom to any vocation, and hopefully gain from it. The first rule by the inimitable Neil Gaiman who speaks so much sense and in such simple words. More here and also try and watch his Commencement Speech. 2. Write a book you’d like to read. If you wouldn’t read it, why would anybody else? Don’t write for a perceived audience or market. It may well have vanished by the time your book’s ready. Hilary Mantel nails this point. At times I find myself trying to write in a way I do not speak or think because I have this idea of how a writer must write. I get the point that I need to be true to myself, my strengths and my limitations. And write the kind of book that I want to read, not someone smarter, better read than me can read. If I need a dictionary while writing, then I wouldn’t be the reader of my own book right? That doesn’t mean one needs to over simplify, more than you do not need to complicate. Honesty. 3. Never ride a bike with the brakes on. If something is proving too difficult, give up and do something else. Try to live without resort to per­severance. But writing is all about ­perseverance. You’ve got to stick at it. In my 30s I used to go to the gym even though I hated it. The purpose of ­going to the gym was to postpone the day when I would stop going. That’s what writing is to me: a way of ­postponing the day when I won’t do it any more, the day when I will sink into a depression so profound it will be indistinguishable from perfect bliss. Read more of what Geoff Dyer says and many other authors here in this compilation of rules for writing fiction. Ah, the need to look down upon what one cannot do. Zadie Smith on writing. 5. If you are using dialogue—say it aloud as you write it. Only then will it have the sound of speech. Found that this works in all writing, I keep reading it out to myself and hearing it, as sometimes things tend to sound better in your head than when heard. Read the other pointers by John Steinbeck here. 6. Do back exercises. Pain is distracting. Margaret Atwood nails the all-important point of fitness. Sitting at a computer in that frozen zombie like posture cannot be good, and I speak from experience, the experience of two different computer related problems. Getting a fitness regime if you plan on being a writer for most of your day is crucial. Ray Bradbury: If you like him then maybe you should read his book Zen and the Art of Writing. 8. Imagine that you are dying. If you had a terminal disease would you ­finish this book? Why not? The thing that annoys this 10-weeks-to-live self is the thing that is wrong with the book. So change it. Stop arguing with yourself. Change it. See? Easy. And no one had to die. This might sound serious but one rule later Anne Enright says “Have fun”! I think we cannot do anything well if we do not have fun doing it. If you do not enjoy doing it then it won’t be good. Even relationships. 9. Try to leave out the part that readers tend to skip. 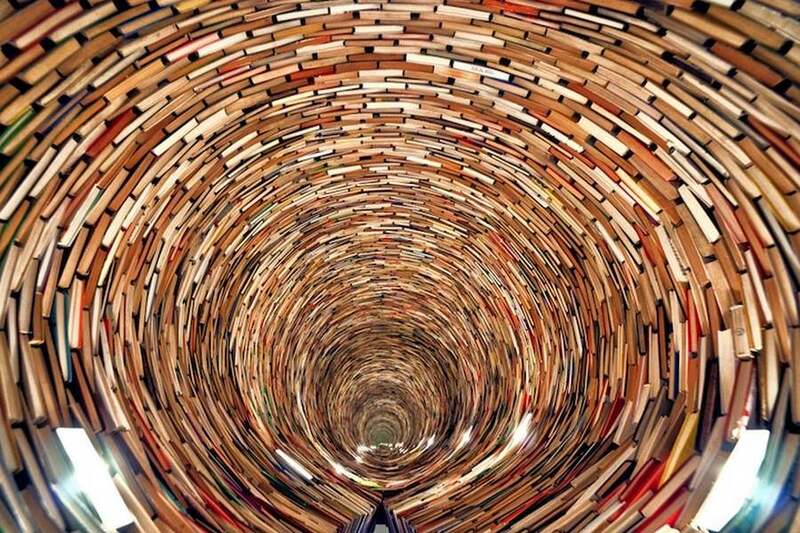 Think of what you skip reading a novel: thick paragraphs of prose you can see have too many words in them. Elmore Leonard sums it up perfectly. If it’s boring and skippable, then why is it there? But I think one needs to find the right balance for that and not delete everything. 10. Do change your mind. Good ideas are often murdered by better ones. I was working on a novel about a band called the Partitions. Then I decided to call them the Commitments. If writing it about broadening horizons, altering landscapes then writers can’t be stuck up! Roddy Doyle says it in the best way. After reading all these rules I realised that in writing, like in all art, it’s never a formula. You have to go with the flow and each writer needs to find what works for them… Art comes from the soul, and in matters of the soul, or heart, there can never be a generalization. Love this, B! Thank you. Next Next post: waddle on!